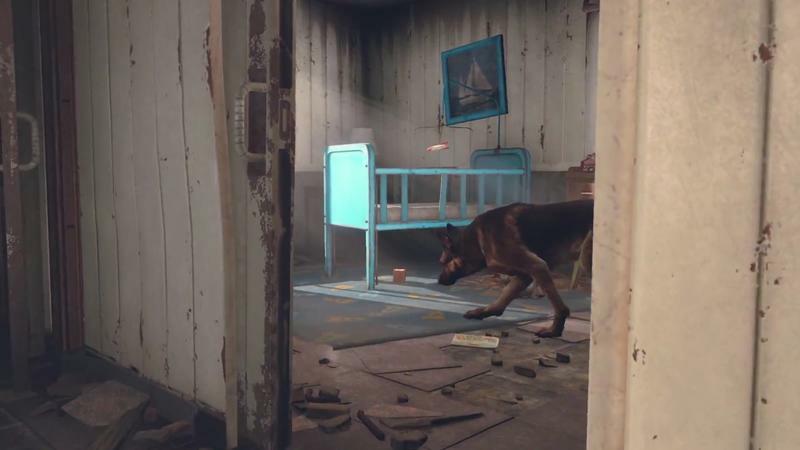 Today, Fallout 4 became official. 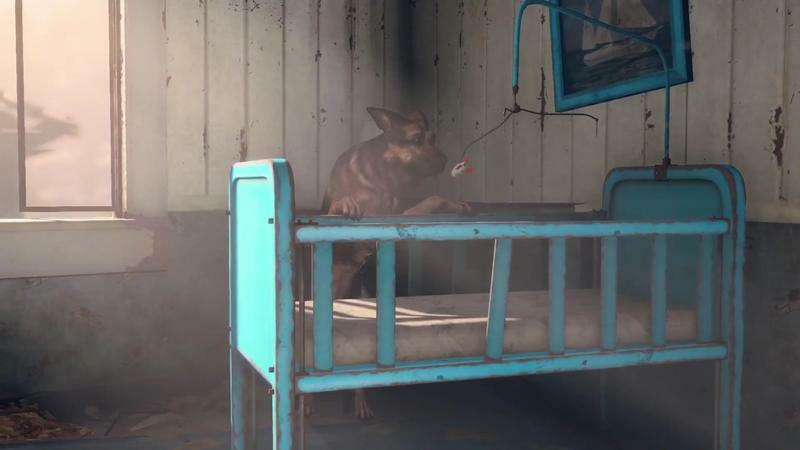 Bethesda released the first trailer for the game, and all sorts of information was held within. 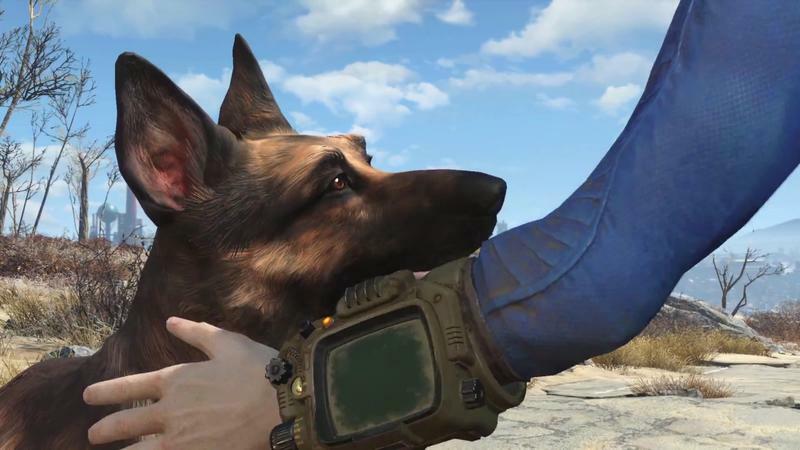 Now, we have to wait until June 14, 2015 at 7pm PT in order to see the game’s full reveal during Bethesda’s first E3 presser. While we’re doing that, we figured we’d go over our favorite revelations that came thanks to the trailer. Here it is, in case you haven’t seen it or want to enjoy it again. It’s set, at least partially, in Boston, MA. 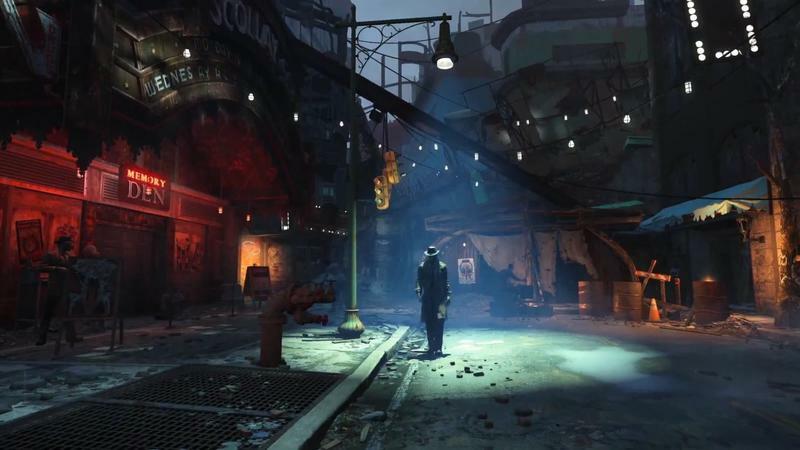 Welcome to Boston, Massachusetts, the new home of the wasteland. Today’s trailer did a wonderful job of setting the scene for some thrills in Boston. 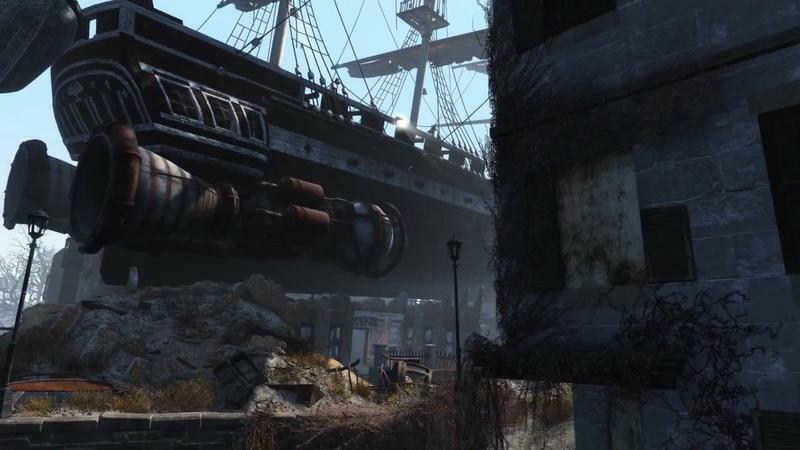 Scollay Square, the USS Constitution (with, clearly, jet engines strapped to it) and the iconic State House all show up. 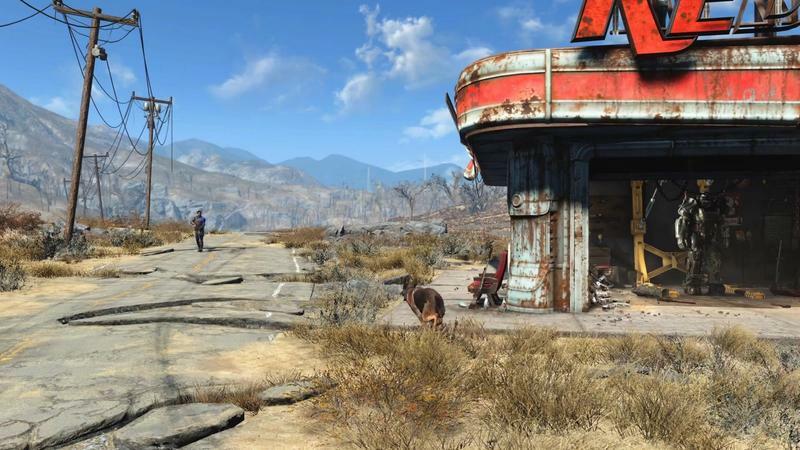 It looks like the game wanders from the city center, too, with a scene that might be a more western-based mountainous region. We’re obviously not sure where that is. 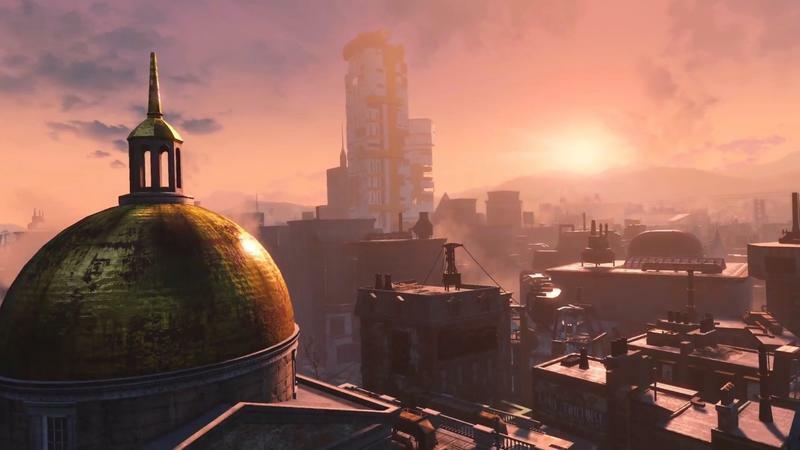 The presence of Boston, though, opens up space for a lot of post-apocalyptic history rewrites and revelations. The Tea Party? Salem’s witches? Randomly deflating footballs? It’s all there. Maybe. 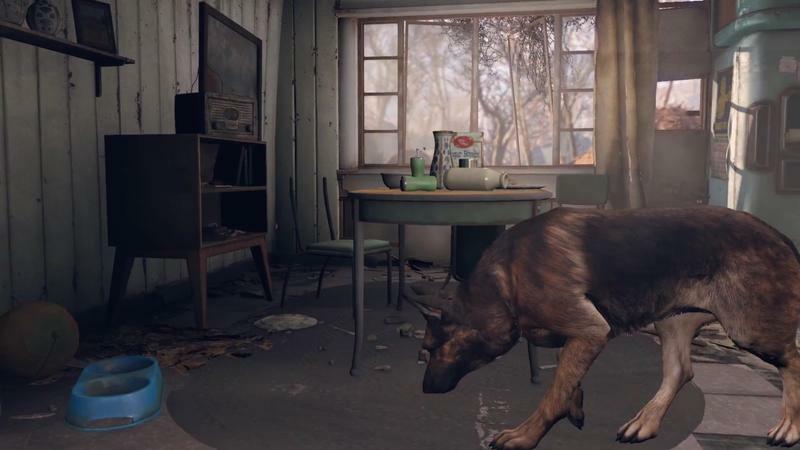 The trailer starts the way the Fallout 3 trailer did, by pulling out from a TV showing a “Please Stand By” image. 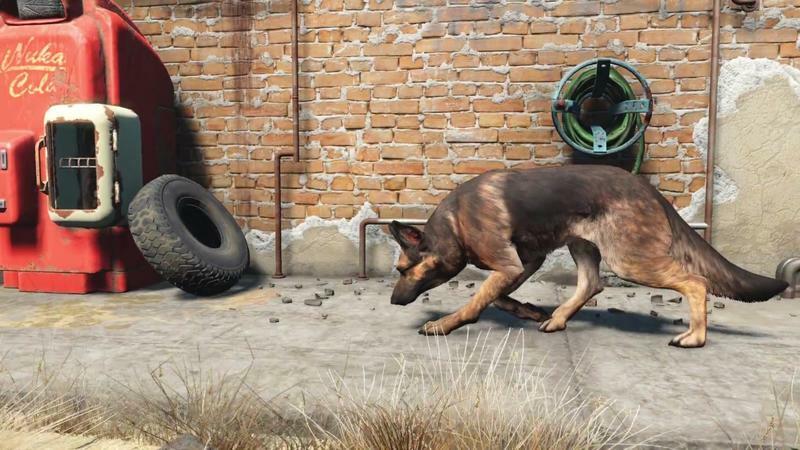 As the camera pans, though, the first movement we see is a dog – german shepard? – investigating what looks to be an empty house. 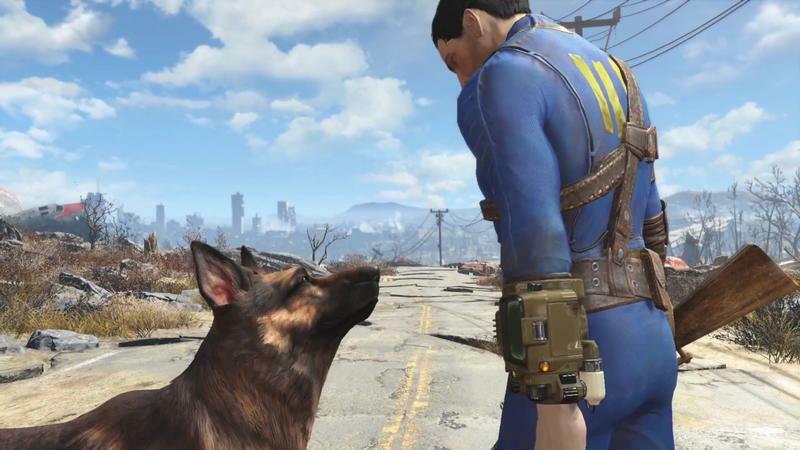 After a few cuts, the dog sniffs at some power armor and rejoins his vault dweller owner, who addresses him directly. 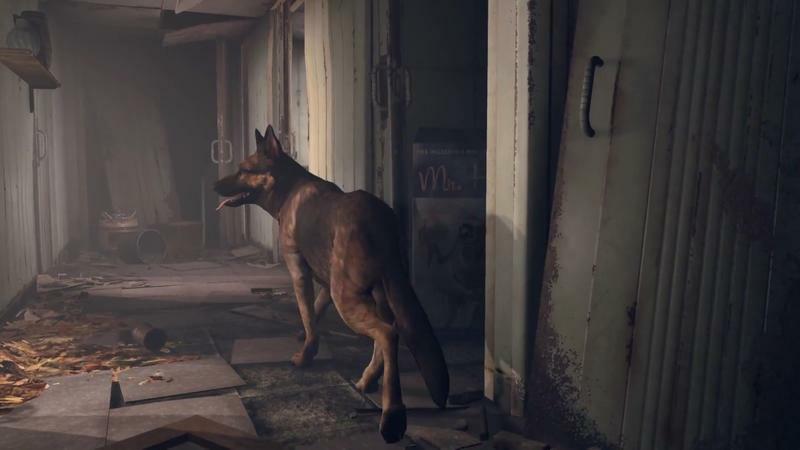 Dog companions have played a role in previous Fallout titles, though the brutality of the Fallout world made it tough to keep Fallout 3‘s Dogmeat as a companion for very long. He was a fierce but decidedly ill-armored friend, and his death was often swift. We’re hoping the dog plays a more significant role this time around and is maybe not quite so vulnerable. Maybe he’s one of those NPCs that can’t be killed or, at least, is smart enough to run away when his life is in danger. Our hero appears to be assembling power armor. 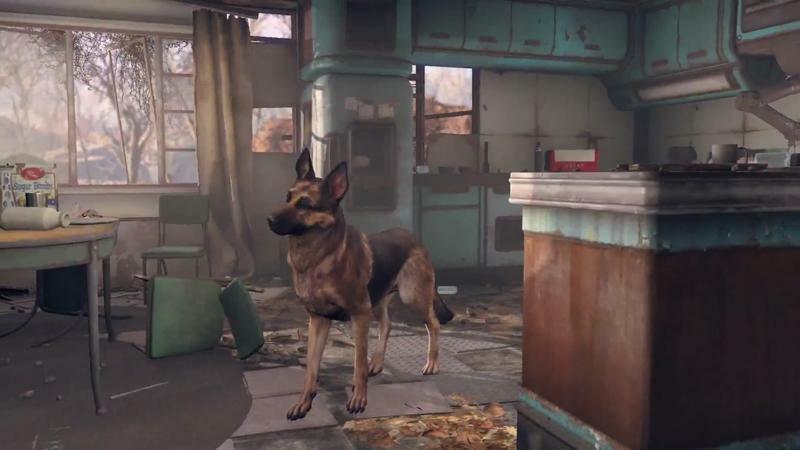 As the trailer nears its completion, the pooch featured throughout makes its way to a gas station or diner-turned-base where he finds our hero. Within the base, we see all sorts of stuff that indicates crafting can and does go down. Next to that? 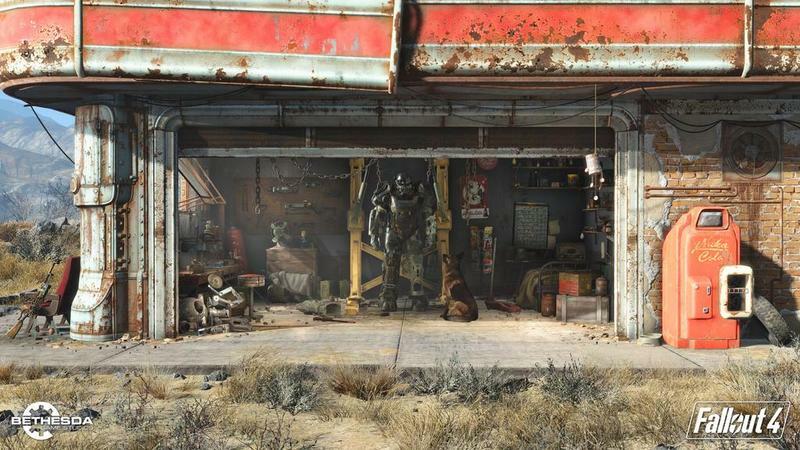 A standing suit of power armor, which we assume our hero is in the process of cobbling together in order to become even more dangerous in the wasteland. 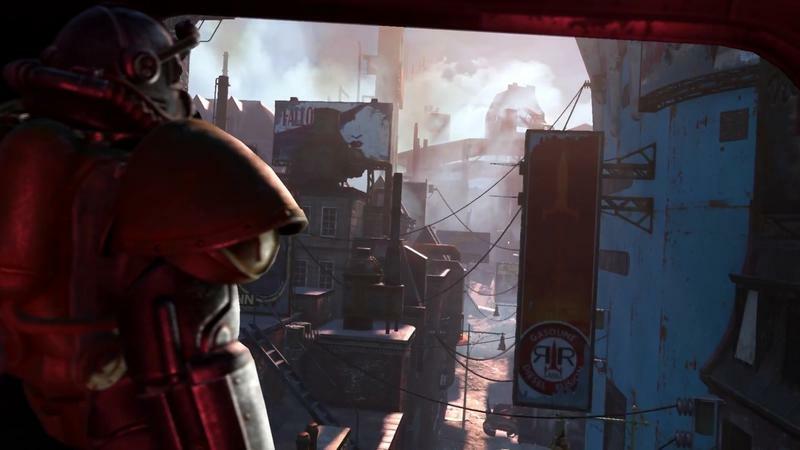 Of course, power armor has been attainable in other Fallout games. Here, it seems the gear is getting a centerpiece placement. 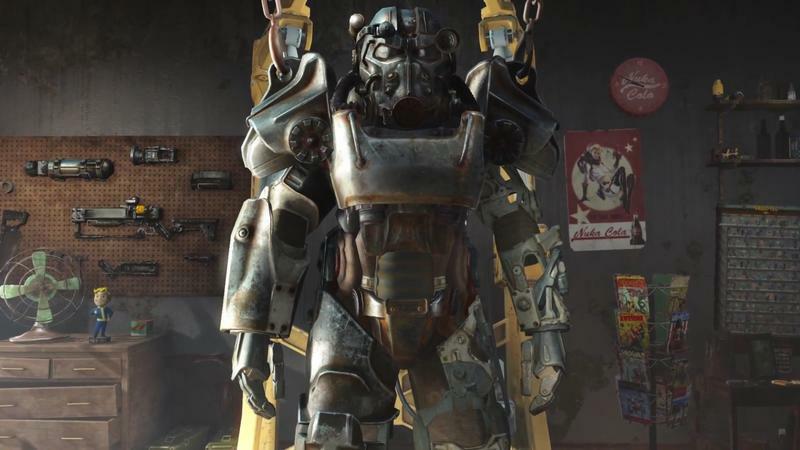 It so clearly defines the iconic nature of Fallout, and we hope this set of power armor plays a huge role in our journey and growth. There’s an emphasis on flight. A couple things in this trailer lead us to believe there will be an increased emphasis on air travel. A first person view of someone in a helicopter/VTOL vehicle lifting off strongly suggests that we’ll be able to get into those vehicles, rather than just watch enclave flood out of them this time. 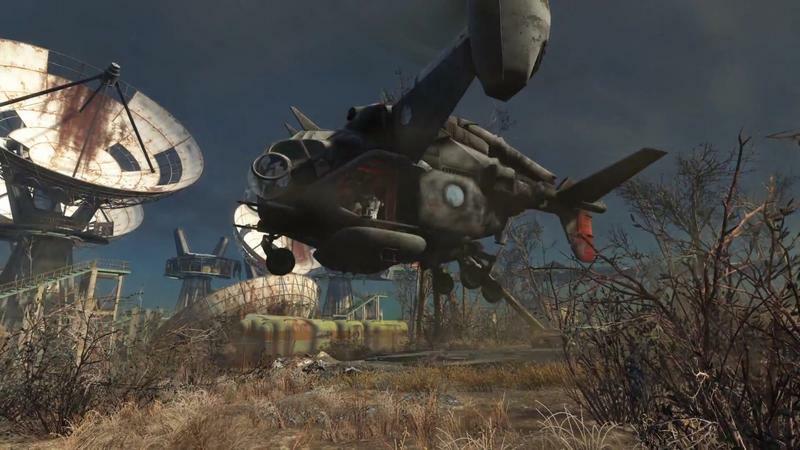 We’ve never been able to pilot vehicles in Fallout before, so I don’t know if that is on the menu, but this could be a way of moving between separate open world areas or something like that. 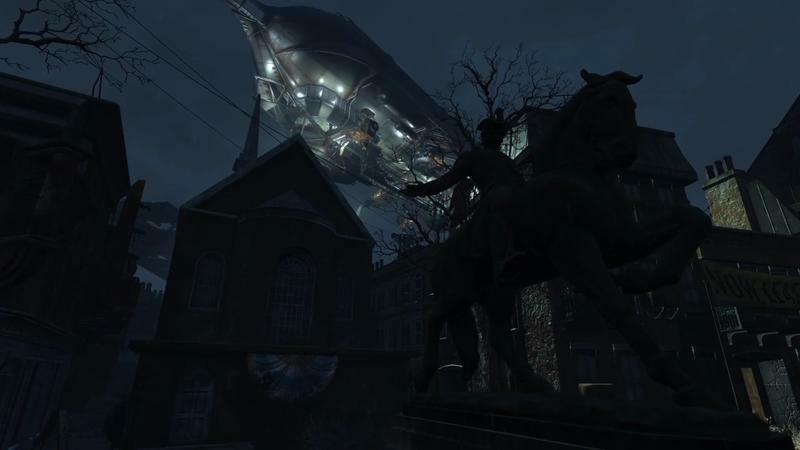 Then there’s the massive airship we see behind the Paul Revere statue. That thing is ridiculous, and it’d be a crime to put that out there for us to ogle and and not let us either use it as a base or invade it with guns blazing. Last gen console support is out. 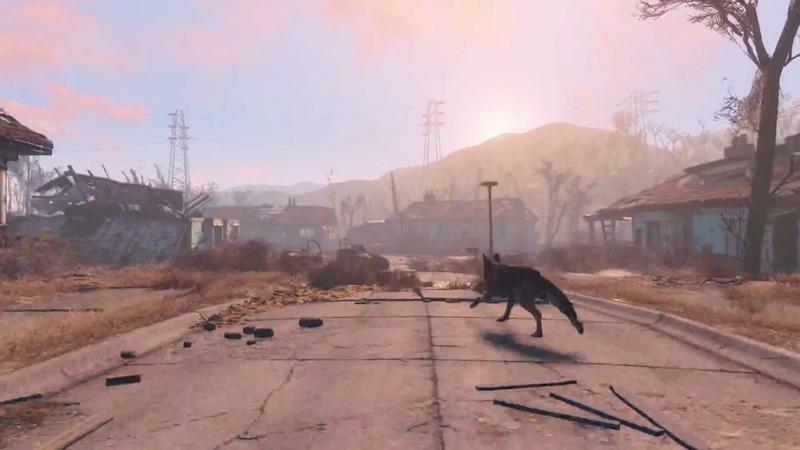 It seems like a small and possibly negative thing, but the trailer (and official press release and site) clearly indicate that Fallout 4 is only being made for the PC, PlayStation 4 and Xbox One. The Xbox 360 and PlayStation 3 are out. That means you might need to upgrade to a new platform, of course, but it’s also really good news for the game’s development. The PlayStation 4 and Xbox One, first of all, share an architecture that’s quite similar to the PC platform. More so than the 360 and PS3 by far. 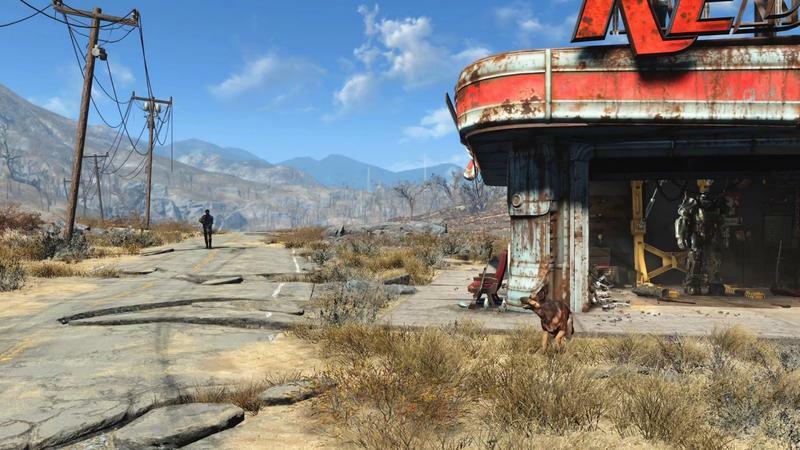 That means Bethesda can actually spend less time porting the game to unique systems and more time making it the best it can possibly be. It also removes the extremely low-end nature of the old consoles from their design considerations. Tech is better, put plainly. 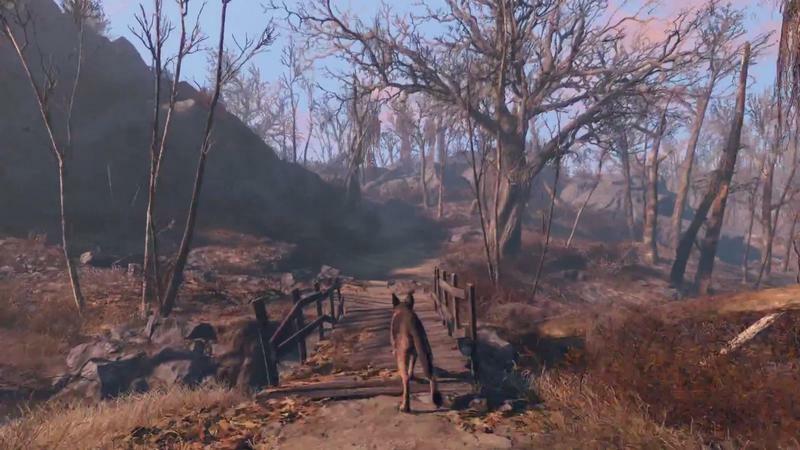 Fallout 4 Game Director Todd Howard puts it best in the press release that shared the news.